One of the most elegant and memorable dining experiences that I have ever had, was when I went to the Russian Tea Room last fall for a romantic dinner for two. I had memories of the restaurant from when I was a little girl, and my parents used to take me there to celebrate special occasions. When I finally revisited the Tea Room as an adult, dressed in a formal black silk dress and heels, I was instantly transported to an elegant environment with Faberge-egg-like gilding, walls that were adorned with stunningly unique illustrations of costumes from the Russian Ballet, richly-hued oil paintings, and the signature sumptuous red leather booths. The Beast and I ordered an assortment of delicious delicacies including caviar, duck crepes with tart red cherries, and delicious hot tea served with sugar and raspberry jam. It was the most wonderful and unforgettable evening. When I was in Duane Reade a few days ago I came upon an unusual shade of red lipstick, and I was reminded of that night. The lipstick is aptly named Cherries in the Snow, and it is a striking shade of crimson that I was immediately drawn to. At first I was unable to discern why I had taken such a fancy to it, since a red lipstick isn't such an unusual thing. However, on my walk home I realized that Cherries in the Snow is the exact same shade of red as the leather booths in the Russian Tea Room. I quickly headed back to the drugstore and breathlessly ran to the Revlon lipstick display. Thankfully, my shade of choice was still there and ready for me to purchase. Since that day I have been wearing Cherries in the Snow constantly, and every time that I apply it I am reminded of that magical dinner. 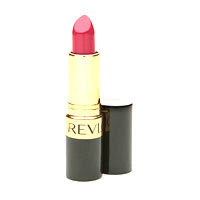 Wouldn't it be cool if Revlon made a red lipstick that tastes like Beluga caviar? Now that would really transport you back to the Russian Tea Room whenever you used it!